In this article ComputerWorld chat to Chet Ramey about his experience maintaining Bash. Microsoft is extending its management software to Linux and Unix by integrating some of the open source OpenPegasus project’s code into System Center Operations Manager. This tutorial explains GDM (GNOME Display Manager) modification to support user verification through keystroke-dynamics processing. Modified GDM allows only you to login. If you go ahead and tell your password to a friend. They still won’t be able to log in using GDM without knowing the precise method of typing required when entering your user name. You can create and store a one-way encrypted hash of your keystroke patterns when entering your user name. Add code to GDM to read current keystroke patterns and permit a user to log in when the characteristics are a match. 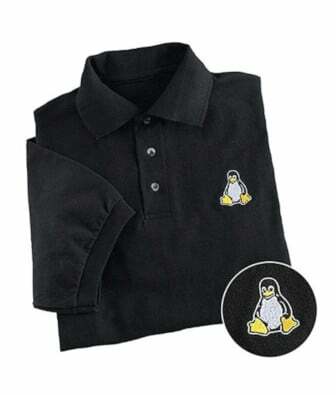 Many commercial products today provide two-factor authentication on Linux systems. These technologies generally require the purchase of additional hardware and create a closed implementation unsuitable for many environments. The code and processes presented here allow you to implement a low-cost authentication-input system based on the characteristics of how a user types his password into the GDM. Moving beyond examples and into implementation, the modifications to GDM presented here allow you to enhance the security of your computer. 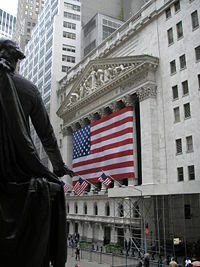 The New York Stock Exchange (NYSE), is the largest stock exchange in the world. NYSE wants to move away from proprietary platforms, so they selected HP hardware with Linux. NYSE is investing heavily in x86-based Linux systems and blade servers as it builds out the NYSE Hybrid Market trading system that it launched last year. Flexibility and lower cost are among the goals. But one of the things that NYSE Euronext CIO Steve Rubinow says he most wants from the new computing architecture is technology independence. The NYSE has installed about 200 of HP’s ProLiant DL585 four-processor servers and 400 of its ProLiant BL685c blades, all running Linux and based on dual-core Opteron processors from Advanced Micro Devices Inc.
yum (Yellow dog Updater Modified) is a package manager for RPM compatible Linux systems such as CentOS, Fedora core and latest Redhat Enterprise Linux. So how do you use yum to update / install packages from an ISO of CentOS / FC / RHEL CD? Creation of yum repositories is handled by a separate tool called createrepo, which generates the necessary XML metadata. If you have a slow internet connection or collection of all downloaded ISO images, use this hack to install rpms from iso images. You need to create a repo config file in /etc/yum.repos.d/ directory. Save and close the changes. You should always aware of maximum amount of memory and maximum number of CPU supported by Linux systems / server.